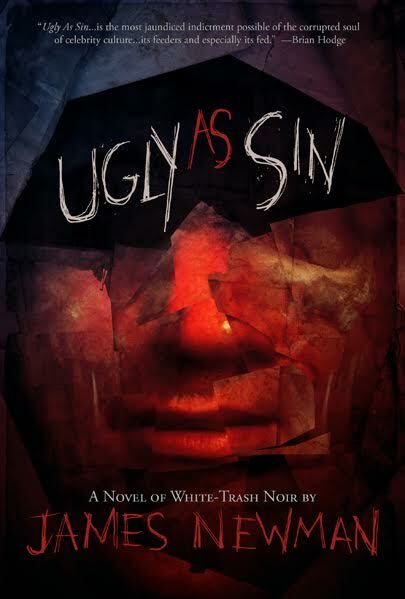 Ugly As Sin by James Newman is the latest offering by Shock Totem Publications, billed right on the cover as “white-trash noir,” a tongue-in-cheek summary of the contents inside. It’s funny, fast-paced, and engaging. Nick Bullman once had an impressive career as The Widowmaker, a wrestling heel whose feuds in the Global Wrestling Association were legendary. It’s rotten luck for Nick when two wrasslin’ fans who think it’s all real attack Nick, beating him and mutilating his face in the process. When GWA CEO Lance K. McDougal III (a clear caricature of Vince McMahon, and that’s okay) wants to market Nick’s ruined face as a gimmick, Nick attacks him. The subsequent criminal and civil lawsuits ruin Nick, and he finds himself in a bad way . . . until his daughter, Melissa, asks him for help. It seems Nick’s granddaughter, Sophie, has been kidnapped. Nick, who honestly has nothing better to do, agrees to investigate. Along the way, he picks up a sidekick, Leon, a meth head who is happy to team up with his favorite former wrestler. What follows is a heartwarming story of two men bonding over past mistakes, current circumstances, and future dreams. Just kidding. What actually follows is mayhem, murder, and the sinking realization that Nick’s actions in the past has had real consequences on his daughter’s and granddaughter’s lives. Ugly As Sin comes full circle, when Nick realizes that in some ways, the villain in the story is a better father than he himself has been. No matter, though: the bad guy is still a monster, and Nick’s able to (spoiler alert) save the day and turn over a new leaf where his family is concerned. Chock full of colorful characters, action, and unsettling horror, Ugly As Sin is worth the read.